If you run a professional blog managed by WordPress, get WP Engine hosting. It is the most popular, but also a special web host company that focuses on WordPress Hosting. 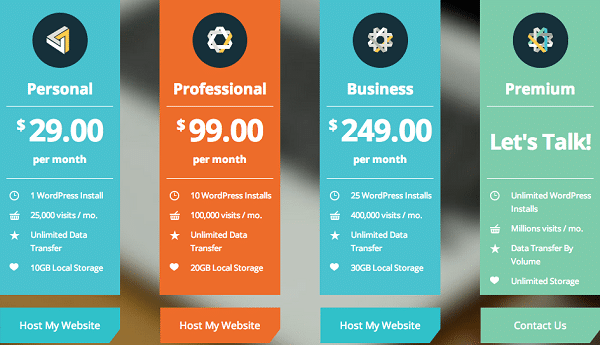 The entire hosting system runs on the WordPress platform. 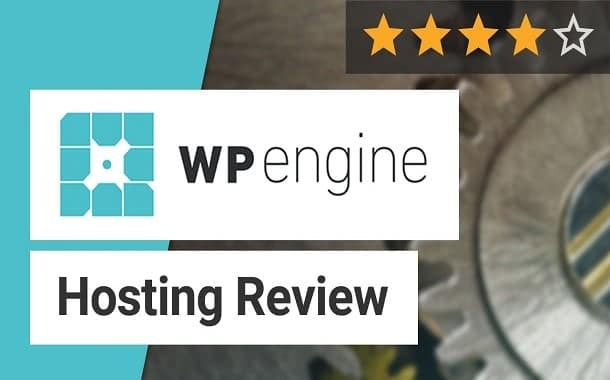 Through the years, WP Engine has been on a steep incline with most of its users acknowledging that it has superior features that make it the best WordPress hosting system. It offers a hassle-free site migration, it offers fast loading speeds and about 100 percent uptime, and it saves money. Regarding saving money, this hosting facility features a daily backup and malware scans. WordPress being the standard blogging platform for millions, WP Engine offers friendly rates. Also, noting that the needs of users vary, WP Engine offers different subscription plans. The cost depends on your needs. You get up to 60 risk-free days. During this time, if you are dissatisfied with the service, you are free to cancel the subscription within those 60 days. You will get back your subscription fee. However, this doesn’t apply to premium and enterprise plans. You can migrate your existing WordPress site from other WP platforms within minutes and with a few clicks. The free Automated Migration Plugin eliminates migration complexities, extra costs and it saves time necessary for a full site migration. Along with an affordable plan, you will also get an easy-to-install and a fully automated Let’s Encrypt SSL certificate applicable to any WordPress site. This is an important installation for extra security, speed and it also boosts SEO. For a personal blog, you will need to pay $29.00 monthly. This hosting plan gets you started with all the basics needed to start a single blog or a small business website. With it, you get to leverage the WP Engine’s powerful technology. With this plan comes excellent customer service. This plan gives you a 24K visits per month limit, 10GB local storage, one install, and free SSL certificates. Your small business will do well with this plan that costs $99.00 per month. It works well whether you are managing one site with steady traffic, several small sites, or you are managing sites on behalf of your clients. This plan offers your business the needed flexibility until you are ready to accelerate your business’ growth. The monthly $99.00 subscription gives you up to 10 installs, a limit of 100K visits monthly, 20GB local storage and Free SSL certificates. Are you ready to take your business to the next level? Get the WP Engine Business Plan that goes for $249.00 per month. This plan offers higher traffic and install limits. It also gives you access to advanced features, all within a shared environment and at an affordable price. The Business Plan gives you access to 25 installs, 30GB local storage, 400K visits monthly and free SSL certificates. If yours is a high-traffic website for a large business corporation that requires peak performance critically, the Premium Plan is what you need. This plan combines the power of one server with a dedicated environment, advanced features, and excellent customer service. This combination delivers a high performing site offering the best of digital experiences. It promises high performance, a dedicated architecture, managed onboarding and faster response times from the support teams. Contact WP Engine for the cost. This plan gives you between100 – 300GBs of local storage and up to millions of visits. You have to contact the WP Engine support team for the price. But, this is the best hosting plan for high-traffic large businesses and mission-critical sites. The plan offers the Ultimate WP Engine performance, uptime, and scalability. The site is under the protection of a dedicated clustered environment with load balancing technology, redundant data centers, and multi-zone high-availability. You will also get managed onboarding services, account service, and dedicated customer support with high response time. You will also get millions of visits and between 400GB- 1TB of local storage. Noting that the WP Engine blocks more than 2 Million attacks daily and gets 5 percent of online visits in the world, you should leverage its power. How Much Do Engagement Rings Cost? How Much Does Lumosity Cost?